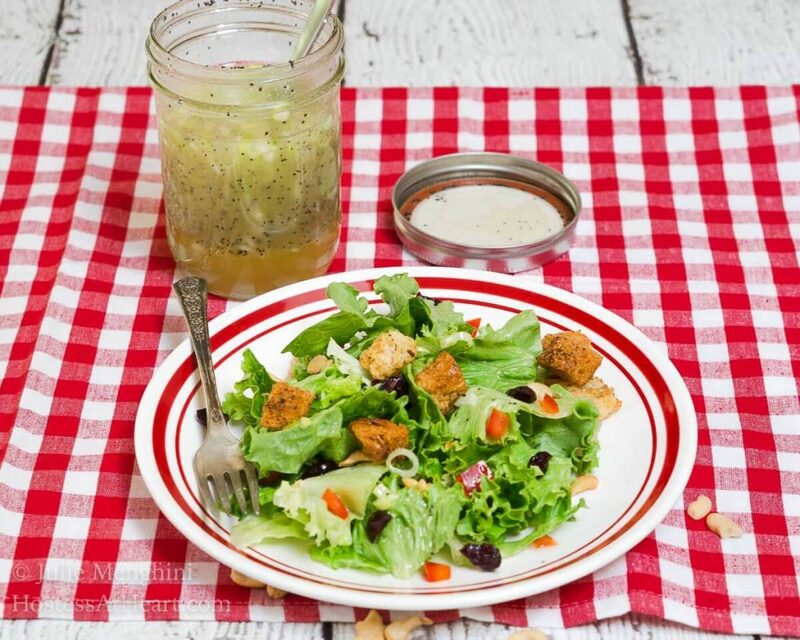 Favorite Green Salad with Sweet Poppyseed Dressing is the perfect salad to make and take or just have on hand for a delicious lunch! 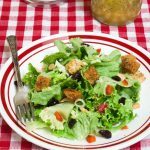 When my son comes home I always have to have our Favorite Green Salad with Sweet Poppyseed Dressing in large supply. When he’s hungry this salad is the first thing he grabs by the bucket load. I guess he didn’t inherit my ice cream gene! Several years ago when our family would all get together for the holidays, we would always request that my mother-in-law bring “her” salad. It was so easy for her to make and take. 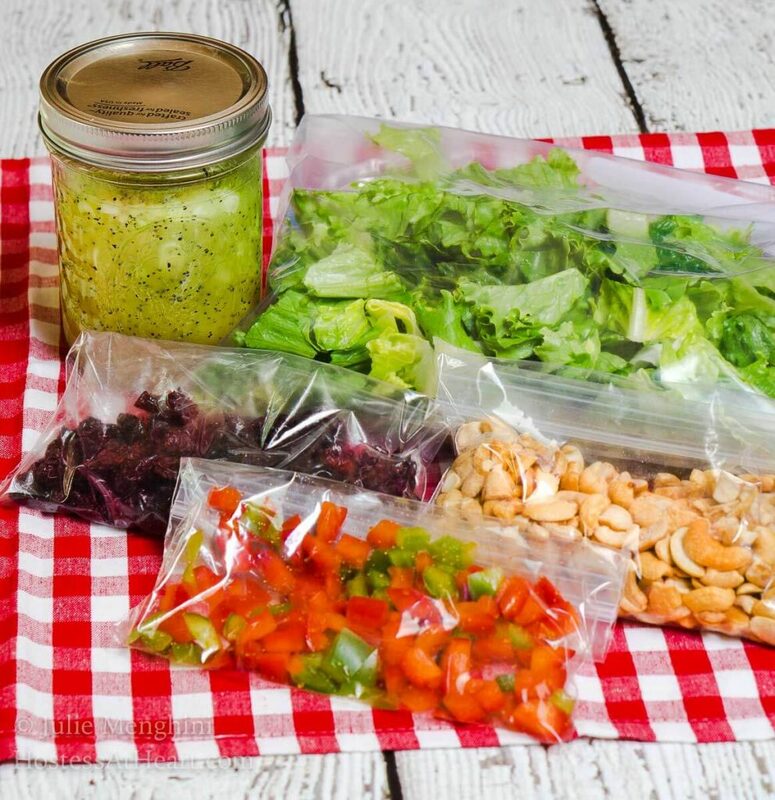 She just put everything in ziplock bags and the dressing in a jar. It all went into one bowl right before we ate it. The bowl always emptied too quickly! She’s into her 90’s now and she’s passed on the salad gauntlet to us youngsters! The only change that I’ve made is that I don’t add the dressing to the entire bowl. It’s not that I don’t love it, it’s the opposite! I want a cup of this dressing with a handful of lettuce so I try and show a bit of restraint. 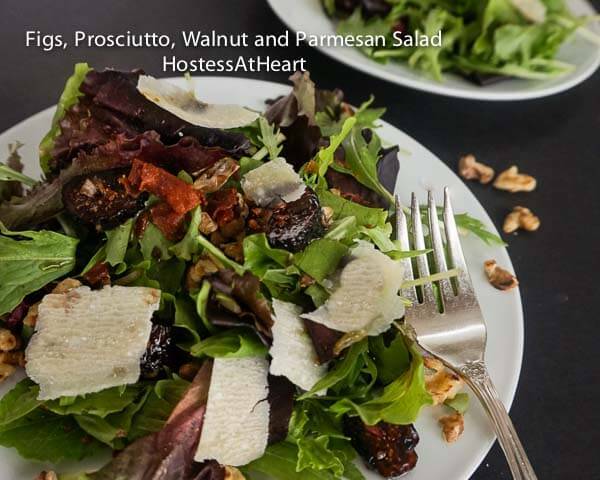 I also serve this salad with homemade croutons, seeds, nuts, and craisins. I have a regular party going on in my salad bowl! Combine dressing ingredients and mix well. 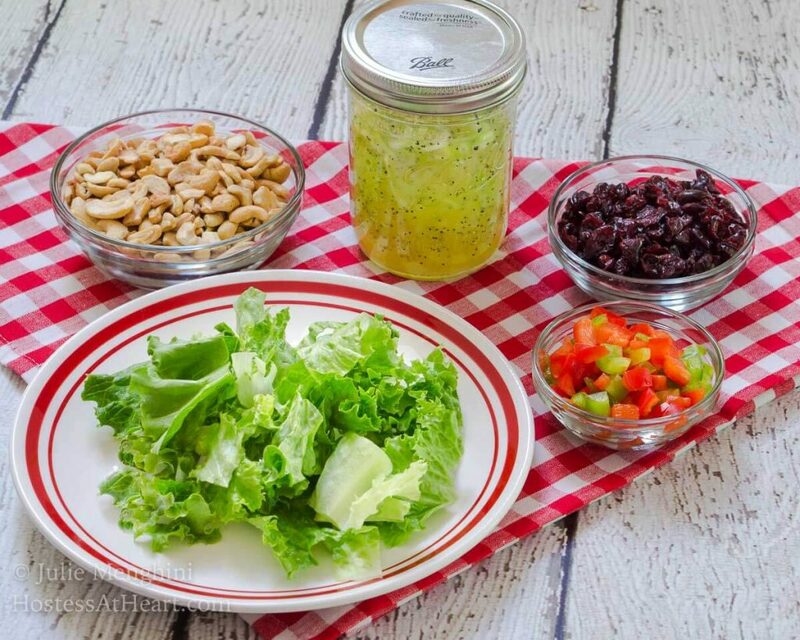 Right before serving, combine salad ingredients and drizzle with dressing. Reserve any extra dressing in the refrigerator for future use. It’s not that she never wanted to share her recipe but we just never asked for it. You know how it wouldn’t be the same if Grandma didn’t bring her salad? We’ve gotten past that and now she enjoys it at our table and we enjoy it a lot more often. 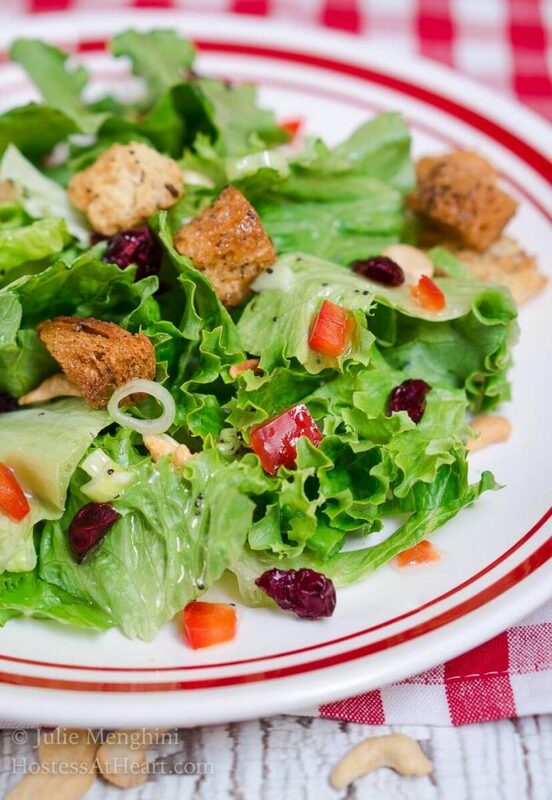 Here are a couple other salads that we just can’t live without. Thank you Pamela! It is very tasty and so easy to make. Thank you so much, Sandhya! It is definitely all about the dressing! 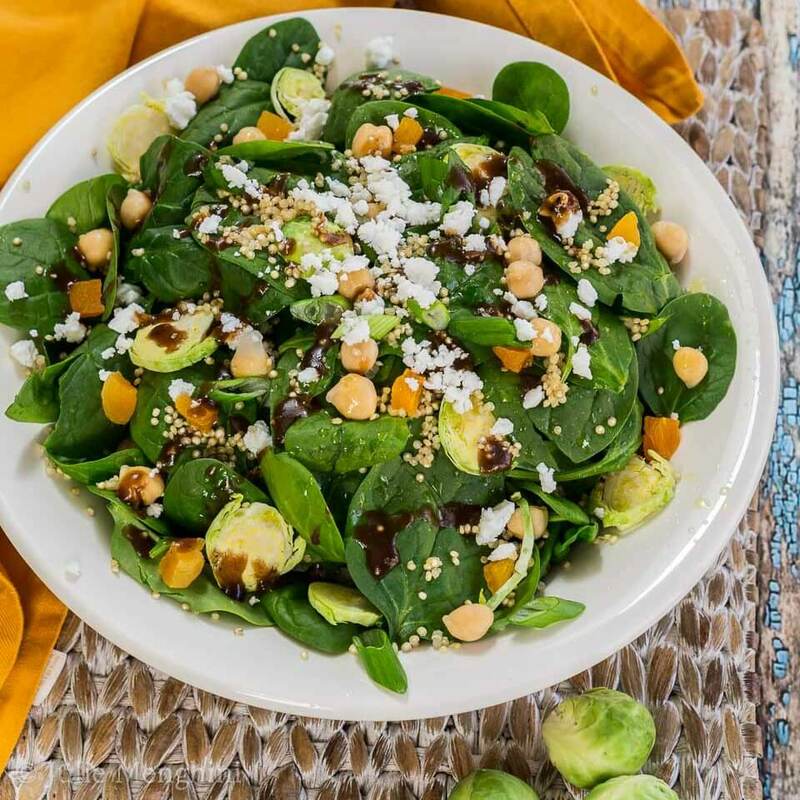 I adore the combination of fruit, crisp greens, and a tangy dressing. Lovely salad. Thank you, Liz! I can eat salad every day of the week especially in this heat! 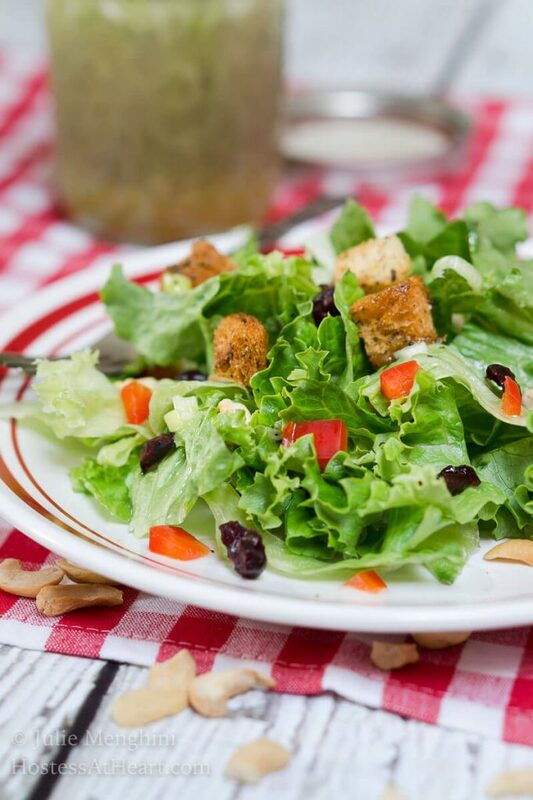 I love a green salad and especially enjoy homemade dressings. Poppyseed is a favorite especially with homemade croutons. I need to add more dried fruit to my salads and for now all I have are dried cherries, oh and dried currants. I’m with you Judi, I love all of the goodies mixed in. No plain salad for me and I’m enjoying it tonight with some leftover grilled chicken.